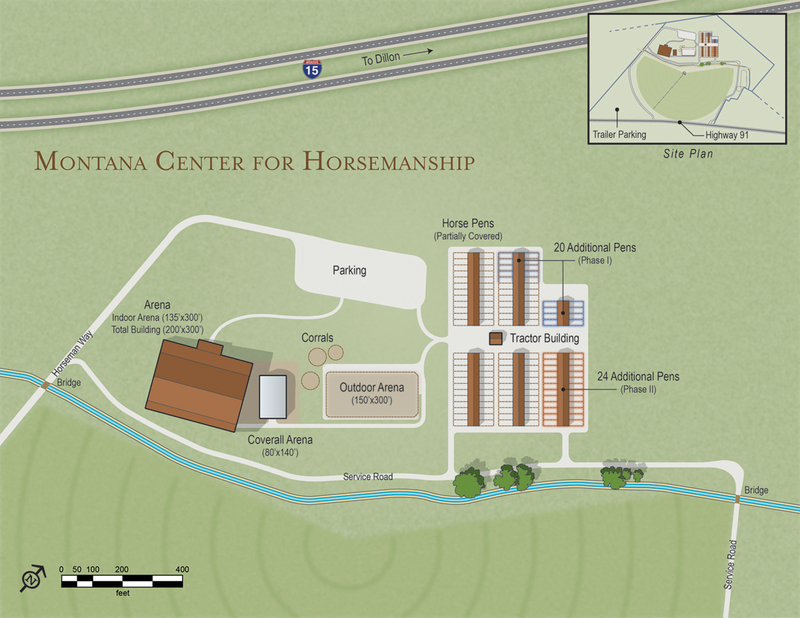 The Montana Center for Horsemanship offers a 70-acre, state-of-the-art horse training and boarding facility. It's just 1½ miles from the University of Montana Western campus, and students gain access to an authentic working ranch as part of their education for valuable ‘real-world’ experience. The Center was constructed based on a 360° understanding of its function in combination with its location. 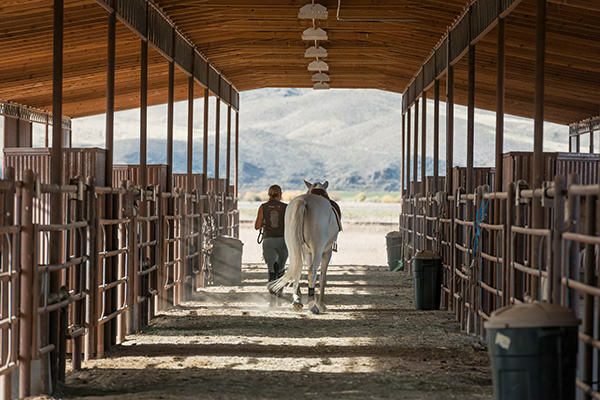 Factors that were considered include: Montana’s varying weather, ‘Horse Happiness’ (including comfort, protection, and socialization), pen drainage, trailer storage, and individual tack closets for students. The end result is a sophisticated education and boarding facility that offers a comfortable, friendly, and secure place for students and their horses alike. The MCH training and boarding facilities include a brand new 200' x 300' Arena Building with a 135' x 300' Indoor Riding Arena, a 80’x140’ Coverall Arena, 150' x 300’ outdoor arena, three round corrals, 84 indoor/outdoor 20’ x 60’ stalls with 12’ x 20’ covered areas, and a maintenance barn with storage and restrooms. Natural horsemanship majors must provide their own horse and must board their horses at The Center. UMW collects fees from each Natural Horsemanship student to cover costs of boarding and feed.